Long-time ITS Board member, Professor Gary Madden passed away on July 13, 2017 in his home city of Perth, Australia. He was 64 years of age. His untimely death very much caught unawares and deeply saddened the close-knit ITS community. Professor Madden was elected to the ITS Board in 2002. 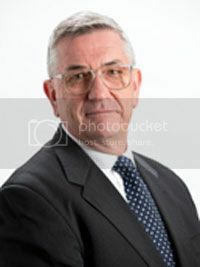 He served as a Director for the next 15 years, the first 12 as Chair of the Publications Committee. His legacy of accomplishments as an ITS member has few peers. Professor Madden organized and served as Chair of, and his employer (Curtin University) hosted, seven Regional ITS Conferences between 2001 and 2013 (including the first Asia-Indian Ocean Regional ITS Conference, the first Asia-Australasia Regional ITS Conference and five successive Africa-Asia-Australasia Regional ITS Conferences). Professor Madden also served on the organizing and/or program committees of 12 other ITS Conferences between 2001 and 2016. 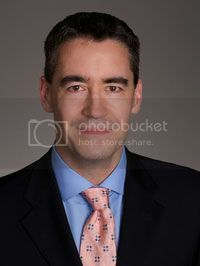 In addition, he was Associate Editor of the ITS journal, Telecommunications Policy, between 2009 and 2014, and served continuously on the International Editorial Board of Communications & Strategies since 2005. He was also Guest Editor of several special issues of both Telecommunications Policy and Communications & Strategy between 2005 and 2010. Over the past two decades, Professor Madden authored, edited and/or co-edited nine scholarly textbooks in the field of ICT economics; authored or co-authored 24 separate chapters in various scholarly texts; authored or co-authored over 75 scholarly articles in peer-reviewed journals (with several more under review or awaiting publication); wrote and presented some two dozen papers at ITS Conferences and a similar number of papers at various non-ITS Conferences; served as a reviewer for Cambridge University Press, Edward Elgar, MIT Press, Routledge, and Yale University Press; served as a referee for 32 different academic journals; held numerous editorial positions with non-ITS affiliated scholarly publications; and held visiting positions at several major U.S. and European universities, as well as numerous professional and academic affiliations including Director, Communication Economics and Electronic Markets Research Centre, Curtin University between 1995 and 2014. Professor Madden also mentored dozens of honours and graduate students in economics during his career. Gary Madden was one of a kind. He may have lived at the end of the world, but his legacy extends to every part of the globe. May he long be remembered. 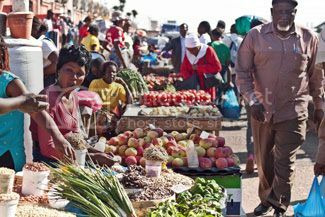 The 2nd African Regional ITS Conference will be held March 15-16, 2018 in Lusaka, Zambia. 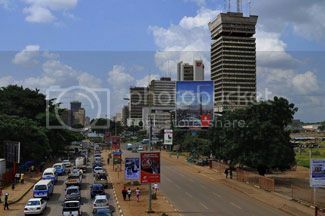 The theme of ITS Lusaka 2018 is Communications and Applications for All – The ICT Thrust Transforming Business, Competition, Policy, and Regulation. As such, the Conference will focus on the interplay between developments in technology, markets, policy and regulation in the ICT field in African countries. e-government, e-health, e-education, e-money, etc. The deadline for abstract submissions is November 1, 2017. Please note that outstanding papers will be considered for publication in an edited book or special issue of Telecommunications Policy. Online registration is now available. Individuals planning to attend this Conference are reminded to register online before the early bird deadline of January 12, 2018 if they wish to save on their registration fees. All prospective Conference attendees are advised to inquire well in advance about visa requirements for travel to Zambia from their home country. The Conference program includes a keynote address on Day 1 (March 15), six parallel sessions spread over Days 1 and 2, as well as a plenary session on Day 2 (March 16). 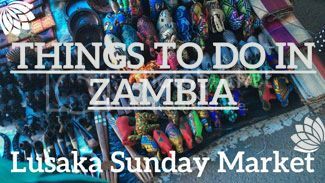 The social program for ITS Lusaka 2018 includes an optional tour of Chaminuka Lodge and Game Reserve featuring over 70 species of Zambian wildlife and birds, as well as a tour of Chaminuka art gallery, both on March 17. For those visitors willing to travel a bit further, two must-see places in Zambia are Victoria Falls and Lower Zambezi National Park. ITS Lusaka 2018 is being hosted by the International Telecommunications Society and co-hosted by the University of Zambia. Anders Henten (Aalborg University, Denmark) is Program Chair while Simon Tembo (University of Zambia) is Program Vice-Chair. ITS Lusaka 2018 will also feature the 13th ITS Ph.D. Seminar to be held on March 17. A complete description is provided immediately below. The 13th ITS Ph.D. Seminar will take place on March 17, 2018, immediately following the completion of the 2nd African Regional ITS Conference to be held March 15-16, 2018 in Lusaka. Access to this Conference will be free of charge for participants in the Ph.D. Seminar. The objective of the Ph.D. Seminar is to share the valuable expertise in the information, communications, and technology sectors residing with leading academics, industry experts and renowned researchers in the ITS community with a selected group of graduate students in a highly-focused learning environment. As such, the focus of the Seminar will be on the discussion of ideas presented by the student participants, rather than simply on the presentation of papers. Up to 10 students will be invited to participate in the Ph.D. Seminar based on responses received to the Call for Papers (see below). Several distinguished international scholars from within the ITS community will participate as discussants. Please note that to be most effective, the discussion will be based on full (draft) papers. Only in exceptional cases will extended abstracts (minimum 8 pages) be accepted for submission. Papers presented at the Seminar will be considered for refereed submission in Telecommunications Policy. The Ph.D. Seminar is being organized locally with the assistance of ITS. Participation is free of charge. Successful participants will receive a certificate from ITS. Each student selected to participate in the Seminar will be eligible to receive a subsidy of up to USD $500 to cover personal travel expenses. (If individual expenses are lower, ITS will only fund the actual expenses). Expressions of interest should be sent to Anders Henten by 1 November 2017 and a full paper by 1 January 2018. Please send your full paper together with a CV to: Prof. Anders Henten at henten@cmi.aau.dk. Submitted papers will be assessed by a panel. average internet connection speed in the world and the 4th highest penetration rate for smartphones. The Call for Papers (CFP) for the Seoul Biennial was issued in late July 2017. Abstract submissions are now welcome. Authors are reminded that the deadline for abstract submission is January 26, 2018. ITS Board member, Professor Seongcheol Kim (Korea University), is Chair of the local Conference Organizing Committee. Professor Youngsun Kwon (KAIST) is Program Chair, while Professor Sangwoo Lee (Yonsei University) is Conference Secretary General. 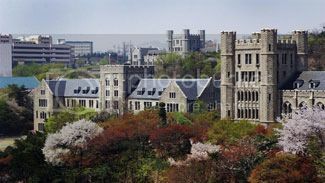 All Conference sessions will be held at Korea University. The Conference itself will begin with a welcome reception for all attendees on the evening of June 24, 2018. Conference sessions will then run continuously for the next two and a half days. They will include Keynote addresses on Day 1 and Day 2, two plenary sessions, seven sets of parallel sessions, and the closing ceremony. Tea breaks, lunches and dinners will be provided on all three days of the Conference, including the main Conference banquet at the end of Day 1, and a special buffet dinner at the Season’s Table at the landmark N Seoul Tower in Namsan, followed by a Han River Cruise on Day 2. The dinner on Day 3 will be at the Sanneri Korean Restaurant on Seoul’s renowned Insa-dong Street. (“Sanneri” means “a small village in a mountain”). 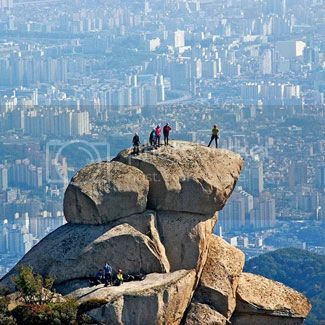 It will be followed by a tour of the Gangbuk area of Seoul. The Conference program also includes a Ph.D. Seminar that will commence immediately following the Conference closing ceremony. All registration and program-related inquiries, including questions about visa requirements for entry into the Republic of Korea and questions about the Ph.D. Seminar, should be directed to Dr. So-Eun Lee (Korea University) at contact@itsseoul2018.org. The Conference website also provides detailed information on numerous hotels within a 10 to 30 minute bus or subway ride of the main conference venue at Korea University. 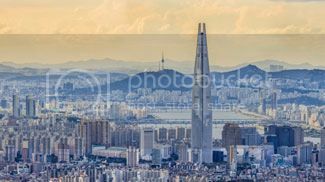 With a population (including metropolitan area) of some 25 million people, Seoul is the financial, commercial, political and cultural capital of Korea. Although more than 600 years old, Seoul has managed to preserve much of its traditional architecture while simultaneously showcasing some of the newest and most spectacular high-rise buildings in the world. Like other metropolises, it is a city that never sleeps, as visitors to its many fascinating night markets and other nocturnal haunts can well attest. 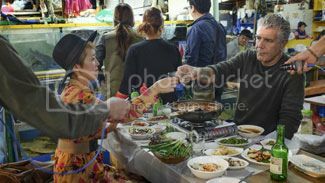 Average late June temperatures in Seoul range from daytime highs in the low 80s F (∼27C) to evening lows in the high 60s F (∼20C), ideal for strolling about or leisurely dining in outdoor cafes and restaurants (where you never know who you might meet). In this (August 2017) issue of Interconnect, the Message from the Chair consists of (slightly edited) excerpts from Stephen Schmidt’s opening and closing remarks at the Regional ITS Conference held in Kyoto, Japan (June 25-27, 2017). We are very fortunate to find ourselves together in one of the most beautiful cities in Asia. The sacred spaces of Kyoto’s many temples and shrines, the silent poetry of its gardens, the intricate and colourful splendour of its traditional arts and architecture — these are not museum curiosities that capture and preserve a vanished past. No, these are a window into a permanent present, a window into enduring features of Japanese culture, beliefs, and aesthetics. We come, then, to Kyoto, to discover the true spirit and the living heart of Japan. In a similar way, if on a much smaller scale, the return of ITS to Japan brings us into contact with our history and our true spirit. The very first conference under the ITS name took place in Tokyo, Japan, in November of 1986 – almost 31 years ago. As we find ourselves, again, on this ground, it serves as a reminder of the vitality of our roots and, in a larger sense, of the importance of Asia for ITS. Asia was – and remains — a crucial centre of scholarship, membership, and conference activity for ITS. This conference has been too wonderful to leave you with only a haiku – with only seventeen syllables. I need to share a little more. As we come to the conclusion of this delightful experience, I want to share three impressions with you. They are my impressions – those that are in my heart — but I hope that they reflect some of the feelings in your hearts. This may sound like an impossibly romantic way to begin a public speech at an academic conference – but it is exactly how I should begin and exactly how I will begin. It would be difficult to design or describe a more perfect evening than last night. The meal we enjoyed together was an intricate and beautiful procession of colours, textures and flavours. The traditional entertainment provided by the maiko and the geiko brought the enduring grace and aesthetic refinement of ancient Japan into our living presence. It was as if small pieces of stars floated down to earth and filled the room – and our hearts – with light. I am always overwhelmed by the goodwill and warmth of the people at ITS conferences. We come together beyond the bonds and claims — and limits — of history, nation, language and tribe. Instead, we come together, first and foremost, as friends. This sense of friendship between colleagues – and between nations – advances understanding and advances scholarship. So, thank you for your friendship. My third impression is about your ideas. Each of you, one by one, has created this Conference. You have done this through papers, you panel presentations, and your sharing of ideas. It is deeply gratifying – and very reassuring – to see the way you are collectively bringing ITS into the 21st century through your focus on new topics, new fields and new approaches. Thank you. Speaking of new ideas, it was a great honour for us to be able to bestow best student paper awards last night on Maude Hasbi and Jing Bei (courtesy of the financial assistance provided by Canada’s TELUS Communications Inc.). At my office, I always say that two of my favourite things are announcing promotions and new babies, because it is such a joy to share joy with the world. I will now add announcing student paper awards to my list of favourite things. Students are not only our future. Our future leaders will be drawn from the best of this generation’s students. For this reason, it remains one of our most urgent priorities to encourage as many students as possible to participate in our Conferences and Ph.D. Seminars and for all of us to make them feel welcome and comfortable. We are an independent, non-aligned and not-for-profit organization with a worldwide network of several hundred members, from over 40 countries, from the academic, private sector and government communities. Our diverse membership base is a source of innovative ideas and solutions not likely to be developed in one discipline, one profession or one country. Our work focuses on the socioeconomic, technological, legal, regulatory, competitive, organizational, and ethical dimensions of public policy issues. Please note that the registration fees for all ITS Biennial Conferences include a two-year individual membership in ITS (including a two-year subscription to Telecommunications Policy). In addition, all ITS members in good standing are entitled to reduced registration fees at all ITS-organized Regional Conferences. Other individual membership benefits include online access to papers presented at ITS Conferences, discounts as announced for ITS publications, and occasional special discounts on ITS conference proceedings. Our largest and most dynamic gatherings are our Biennial Conferences. The 21st and most recent ITS Biennial Conference was held in Taipei, Taiwan in June 2016. The 2018 ITS Biennial Conference will be held in Seoul, Korea, June 24-27. See the Conference web site at https://itsseoul2018.org for the Call for Papers as well as other information about this Conference. Other cities that have hosted ITS Biennial conferences include Rio de Janeiro, Bangkok, Tokyo, Montreal, Beijing, Buenos Aires, Seoul, Berlin, Sydney, Stockholm, Venice, Boston and Seville, among others. ITS also organizes one or more regional conferences each year in various parts of the world. In the past two years, regional conferences have been held in Passau, Germany; Kyoto, Japan; Cambridge, UK; Accra, Ghana; New Delhi, India: and Los Angeles, USA. Since 2010, ITS has also hosted twelve Ph.D. 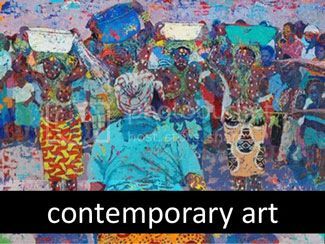 Seminars in conjunction with Biennial and major regional conferences. The objective of these Seminars is to allow leading academics, industry experts and researchers to share their knowledge and expertise with a select group of younger researchers in a highly focused learning environment. To date, over 80 Ph.D. students from more than two-dozen countries have participated in these Seminars. Students selected as having authored the most innovative and thoughtful papers at these Seminars are encouraged to submit them for publication on a refereed basis in Telecommunications Policy. Periodically, scholarships are also awarded for the best student papers. On the immediate horizon, and as is described in more detail in this issue of Interconnect, ITS conferences are planned for Lusaka, Zambia (March 15-16, 2018) and Seoul, Korea (June 24-27, 2018). The ITS Conference Committee has also recently announced that a Regional ITS Conference will be held in Aswan, Egypt (February 18-21, 2019). Information on all upcoming ITS conferences is posted on the ITS web site at www.itsworld.org. In addition, periodic updates on future conferences, including announcements of Calls for Papers, are regularly sent to ITS members via the ITS-L Listserv distribution list. To join ITS, simply go to www.itsworld.org and click on “Membership”. The cost of an annual ITS membership is U.S. $125. Credit card payments (VISA and MasterCard) are accepted.